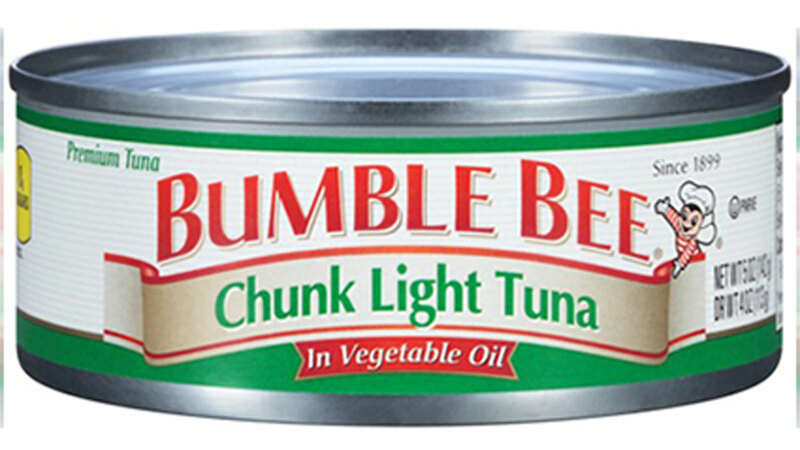 Tuna lovers, take notice: A popular brand is recalling 31,579 cases of canned Chunk Light tuna due to potential spoilage. 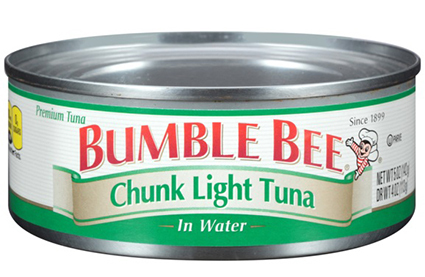 Bumble Bee Foods, LLC announced it is voluntarily recalling three specific UPC codes because processing that occurred at a third-party facility may cause life-threatening illnesses if the product is consumed. There have been no reports of illness, the company says. The recall is being initiated out of an abundance of caution due to the possible under-processing of the affected products discovered by the co-packer during its routine quality audit. Bumble Bee is working closely with the co-packer and the FDA to expedite the removal of products from store shelves. Consumers are advised to throw away the recalled product. Consumers looking for more information on reimbursement or whom have questions about the recall may contact Bumble Bee at 888-820-1947 between the hours of 9am and 6pm EST, seven days a week or visit their website.